通过祷告接触穆斯林 252 J. Christy Wilson Jr.
1.From Sahih Bukhari, The Collection of Hadith, narrated by Aisha; trans. M. Muhsin Khan; vol.I, bk. 1, no.3. Aisha was Muhammad’s favorite wife in his old age. W. Montgomery Watt, Mohammad at Mecca (Oxford: Oxford University Press, 1953), p. 52. 来源：World Christian Encyclopedia, Operation World. Adopted from Joshua Massey, “Should Christians Use Allah in Bible Translation?” In Serving in Mission Together (104), p.5. www.sim.org/mag_104.asp (cited 9 December 2004). Used by permission. Geraldine Brooks, Nine Parts of Desire: The Hidden World of Islamic Women (New York:Anchor Books, 2004). 1. Histoire Nestorienne (Chronicle of Seert), A. Scher, ed., in PO t. 13, fasc. 4, no. 65, p. 581f. The date of the Chronicle is uncertain; internal evidence suggests either after a.d. 828 or 1228. 2. On the Christian side, the treaty, as quoted at length by the Chronicle of Seert (pp. 601ff. ), extends its provisions to all Christian sects. Mari ibn Suleiman, a Nestorian historian of the twelfth century, gives a different version that attributes the pact to a direct meeting between Muhammad (before his death in a.d. 632) and the Nestorian patriarch Yeshuyab II (a.d. 628–43); cited by L. E. Browne, The Eclipse of Christianity in Asia from the Time of Muhammad till the Fourteenth Century (Cambridge: Cambridge University Press, 1933), p. 41. On the Arab side, references to the treaty are found in Baladhuri, a ninth-century Persian historian (Kitab al-farq bain al-firaq, P. K. Hitti, trans. [Cairo, 1924]). Six copies of the “Covenant of the Prophet” are still preserved in St. Catherine’s Monastery at the foot of Mount Sinai; cited by A. S. Atiya, A History of Eastern Christianity (London: Methuen, 1968), p. 268. 3. There are numerous references to Christian Nejran in the early biographies of Muhammad, especially in ibn-Ishaq (707–773), Sirat Rasul Allah (as edited by ibn-Hisham in the ninth century), trans. by A. Guillaume as The Life of Muhammad (Oxford: Oxford University Press, 1955), pp. 14ff. See Guillaume’s comments, p. xviii. See also ibn-Ishaq’s lengthy account of the Christian deputation from Nejran to Muhammad in Medina, probably based on later memories, pp. 270ff. 4. Not until at least 125 years after Muhammad’s death do the first collections of the historical traditions of his life begin to appear. 5. Ibid., pp.79–81. Ibn-Ishaq’s is the first and best of the early biographies of the Prophet, well documented for the period after the Hijra of a.d. 622 but uncritical about the years before. Muslim historians used the legend to indicate recognition of Muhammad’s holiness by a Christian, while Christians referred to it as proof that Christian teaching was the source of the Prophet’s inspiration. 6. Ibid, p. 180. These early anecdotes are from the more uncritical section of the biography, the early period at Mecca. 7. R. Bell, The Origin of Islam in Its Christian Environment (London: Cass, 1926; reprint, 1968), pp. 57f. 8. K. Cragg, Muhammad and the Christian (Maryknoll, N.Y.: Orbis, 1984), p. 18. 9. See the account of his visions in the Qur’an, Sura 53:1–18. 10. “The extraordinary events of the seventh century completely reversed the role of the Arabs. From a peninsular people who had played a marginal and subordinate role in history, they develop into an imperial race and succeed in terminating the Indo-European interregnum in the Near East, reasserting Semite political presence in the region, and carrying the Semitic political factor into the medieval world by the foundation of a universal state”; Irfan Shahid, in P. M. Holt, et al., eds., The Cambridge History of Islam, vol. 1 (Cambridge: Cambridge University Press, 1970), pp. 25f. 13. a.h. (anno Hegirae) 1, therefore, is a.d. 622. On the problem of correlating the qur’anic and western calendars and fixing the date, see E. J. Brill, First Encyclopedia of Islam, “Hidjra (Hijra),” (Leiden, 1987). 14. “The Jews have their religion and the Muslims have theirs…Each must help the other against anyone who attacks the people of this document,” Ibn-Ishaq, p. 233. 16. The best critical analysis of this period is W. M. Watt, Muhammad at Medina (Oxford: Clarendon, 1956); I follow his interpretation. 17. See the account and analysis in Watt, pp. 204–20. Also Ibn-Ishaq, pp. 239–47. 18. In the later development of Islam, however, it must be remembered that, as Goldziher noted long ago, “The Sunna [tradition] is the judge over the Koran [Qur’an], and not the Koran judge of the Sunna”; I. Goldziher, Mohammedanische Suidien, vol. 2 (Halle: Niemeyer, 1889), p. 19. 19. See Bell’s discussion of Christian and Jewish influences on Muhammad, pp. 100ff. 20. Browne, p. 14. Historians are uncertain about the degree of Muhammad’s own literacy. He used secretaries. One of his wives (Hafsa) could read and write; two others could read but not write. 21. It is not known when the first translation of the gospels into Arabic was made. A tradition, repeated by Bar Hebraeus (Abu’l Faraj) in the thirteenth century, relates that an Arab prince ordered “a Monophysite named John” to make a translation around the year a.d. 635, but the earliest surviving frag-ments cannot be dated earlier than the ninth century; see B. Spuler, The Muslim World, pt. I (Leiden: Brill, 1960), p. 26, n. 1. Whatever Muhammad may have learned directly of the Christian Scriptures must have come from oral communication. See Brill, First Encyclopedia of Islam (Leiden, 1987), pp. 1913–1936ff, on Injil (or Indjil, gospel). Injil in the Qur’an refers primarily to the revelation of God to Jesus, and secondarily to the Christian Scriptures. 23. References and quotations from the Qur’an are from the translation of A. Yusuf Ali, The Meaning of the Glorious Quran: Text [in Arabic], Translation [in English], and Commentary (Cairo, Beirut, and Lahore, 1938ff. ), which is the work of a committed Muslim. For felicitous English phrasing, compare A. J. Arberry in Oxford’s the World’s Classics series, The Koran Interpreted (Oxford, London, New York: Oxford University Press, 1964). Verse numbering varies slightly in other translations. 24. See especially Suras 3, 5, and 19, which are named for events connected with Jesus. Other scattered references should be noted, particularly Sura 2:87, 253; 4:157–159, 171; 9:30–31; 43:57–65; 57:26–27; and 61:6. For extended treatments of Jesus as portrayed in the Qur’an, see G. Parrinder, Jesus in the Qur’an (New York: Sheldon, 1965); S. M. Zwemer, The Moslem Christ, An Essay on the Life, Character, and Teachings of Jesus Christ According to the Koran and Orthodox Tradition (New York: American Tract Society, 1912); and Cragg, pp. 100–120. 26. W. Muir, The Life of Mohammed (Edinburgh: Grant, 1923), pp. xxff. Emmaus Road(Monrovia, Calif.: Missions Advanced Research and Communications Center, 1989), p. 306. 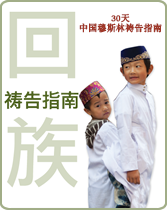 摘自： Annee W. Rose, www.frontiers.org. Greg Livingston, Planting Churches in Muslim Cities (Grand Rapids: Baker, 1993),p.193. Bruce McDowell and Anees Zaka, Muslims and Christians at the Table(Phillipsburg, N.J.: P&R,1999),p.72. Sahin Bukhair, The Collection of Hadith, narrated by Abu al-Minhal; vol.1, bk. 10, no.516. John D. C. Anderson, 「The Missionary Approach to Islam,」 Missiology 4, no. 3 (1976), p. 295. 2.A useful account of some major Islamic rites is Gustave von Grunebaum’s Muhammadan Festivals (New York: Henry Schuman, 1951). Classic account by a Westerner who made the pilgrimage safely is Richard Burton’s Personal Narrative of a Pilgrammage to Al-Madinah and Meccah(1855-56). A two-volume set of the 1893 edition is available from Dover. The Nov.-Dec. 1974 issue of Aramco World is devoted to the pilgrimage. Also see an article in National Geographic, Nov. 1978. Most recent account is Mohammed Amin’s Pilgrimage to Mecca (London: Macdonald and Jane’s, 1978). [i]Greg Livingston《Planting Churches in Muslim Cities》(Grand Rapids: Baker, 1993), p. 183. [ii]Bruce McDowell and Anees Zaka《Muslims and Christians at the Table》(Phillipsburg, N.J.: P & R, 1999), p. 72. [vi]　由安全完成朝觐的西方人所作经典叙述是Richard Burton的《PersonalNarrative of a Pilgrimage to Al-Madinah and Meccah》(1855–56). 1893 版的两卷著作可在Dover买到. 《Aramco World》1974，11-12月期刊是专为朝觐的.又见《National Geographic,》1978，11月期刊。最近的叙述可见MohammedAmin的《Pilgrimage to Mecca》(London: Macdonald　and Jane’s, 1978). 摘自：David W. Shenk, “Islam and Christianity: A Quest for Community,” unpublished paper, 14 January 1983. 1. Mishkatul-Misabih, bk. 1, chap. 6, pt. 2. 2. Elizabeth W. Fernea, (Garden City, N.Y.: Anchor, 1965), pp. 242–43. 3. Maurice Gaudefroy-Demombynes, Muslim Institutions, trans. John P. Macgregor (London: George Allen and Unwin, 1950), p. 38. 5. L. Bevan Jones, The People of the Mosque (Calcutta: Baptist Mission Press, 1932), p. 135. 6. Imam Khomeini, Islam and Revolution: Writings and Declarations of Imam Khomeini, trans. Hamid Algar (Berkeley, Calif.: Mizan, 1980), p. 302. 7. Seyyed Hossein Nasr, Ideals and Realities of Islam (New York: Praeger, 1967), pp. 147–48. (Exeter: Paternoster, 1983), p. 96. 9. Samuel M. Zwemer, Islam: A Challenge to Faith (New York: Student Volunteer Movement for Foreign Missions, 1907), pp. 150–51. 10. Alfred Guillaume, Islam (Baltimore: Penguin, 1954), pp. 126–27. 11. L. Bevan Jones, Christianity Explained to Muslims (1937; Calcutta: Baptist Mission Press, 1964), p. 169. 12. Kenneth Cragg, Islamic Surveys 3: Counsels in Contemporary Islam (Edinburgh: University Press, 1965), p. 156. 13. Abul Hasan Ali Nadwi, 卡迪安m: A Critical , trans. Zafar Ishaq Anseri (Lahore: Shaikh Muhammad Ashraf, 1965), p. 121. 16. “卡迪安—Non-Muslim,” Arabia (June 1984), p. 72. 参阅: Leila Ahmed, Women and Gender in Islam (New Haven, Conn.: Yale University Press, 1992). 摘自：Marti Smith, “The Volga Tatars,” Echo Magazine (winter 1999). 2. Bouthaina Shaaban, Both Right- and Left-Handed: Arab women Talk about Their Lives (Bloomington and Indianapolis: Indiana University Press, 1991), p. 97. 1 Nabeel T. Jabbour, “Islamic Fundamentalism: Implications for Missions,” International Journal of Frontier Missions, 11, no. 2 (April 1994), p. 85; adapted from Gordon Allport’s classic analysis on prejudice: Gordon Allport, The Nature of Prejudice (New York: Doubleday Anchor Book, 1958), pp. 56–58. 1. John L. Esposito, ed., Oxford Dictionary of Islam, (Oxford: Oxford University Press, 2003), pp. 159–60.